The ones I am looking forward to seeing are; Ookami-san, Amagami SS, Seitokai Yakuindomo, High School of the Dead ( do you thinik George Romero would like this series? 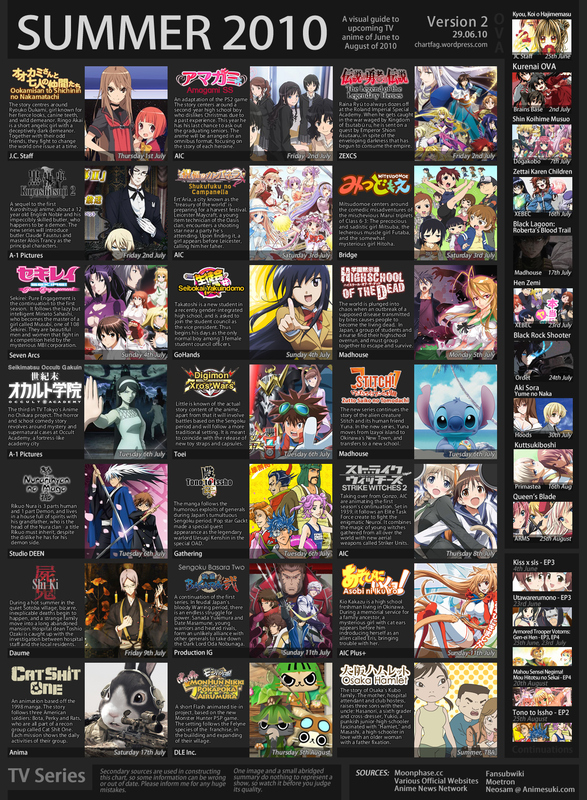 ), Seikimatsu Occult Gakuin, Nurarihyon no Mago, perhaps Seikirei-Pure Engagement, and Cat **** One. A couple others I may watch, but it all depends on who, or if, they are made available. Are there any you look forward to watching? Just watched High School of the Dead. I'm going to continue it, I really liked the manga. Only a few look interesting. Highschool of the Dead I will watch, along with Catshit One, and maybe Nurarihyon no Mago, cause I read the manga its based on. Shiki also looks somewhat interesting. Amagami SS is the only one I want to watch, I'll probably keep up with Kuroshitsuji 2 because my friends are into it. The Occult school one is pretty good so far. Along with HSoTD. Amagami SS is fine. Ookami-san and Friends is doing well. I'm really looking forward to Cat S*** One! That and High School of the Dead, as long as they don't kill it around where they left off in the manga. So far there is more interesting stuff to watch than I have time for watching. I'm already at the try to catch up on some series point already.